What countries do our iPhone sales come from? This is not exactly scientific market analysis…but I think it shows something. 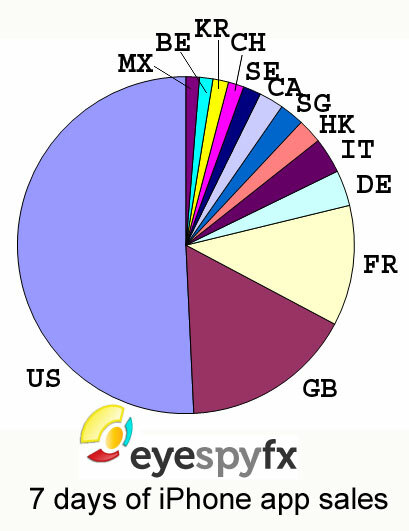 Our next big customers are GB, France and Germany. Sometimes while we are searching for new and interesting cameras to put on our iPhone and Android application World Cams list we stumble across some great views that we cannot put on to the list. We’ve decided that these views are too good not to show you. 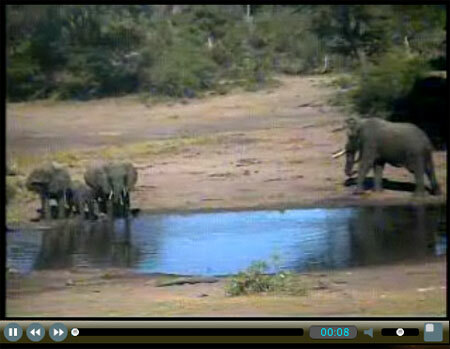 Africam.com is a website completely devoted to webcams in Africa. 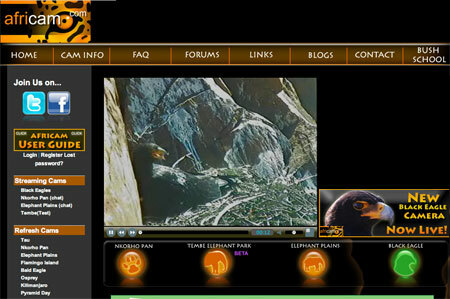 It currently features 10 webcams offering fantastic views of wildlife and locations from all over Africa. 4 of those cameras have a live stream and (after watching an ad) you can watch these cameras at a very quick refresh speed. The other 6 cams refresh a live image from 5 seconds to 30 seconds, and feature some excellent views that you wouldn’t want to miss. With cameras on watering holes, nests and just across the plains you can see Elephants, Zebras, Buffalo, and Eagles. They also have the Pyramid Cam, one of the “Unique” cams featured on our World Cams application. Interested in seeing cameras from around the world on your mobile phone. Read more on World Cams for both Android and iPhone in our App catalogue.